One of the challenges of resuscitation and pre-hospital medicine is that there are multiple high-risk but rarely performed procedures that clinicians must be ready to perform. The difficulty is that we may go our entire careers and only perform them once or even more likely never. However, the difference from success and failure for these procedures can mean life or limb. Consequently we must remain competent despite the challenges with practice. There is an excellent article that articulates these issues by Cliff Reid & M Clancy which I highly recommend reading (for anyone interested in the topic). These life-saving, rarely performed procedures happen to be an interest of mine. It’s a fascinating exercise in education and cognition to maintain competence in performing these procedures yet have virtually no real-life patient practice. The likely result is that clinicians are not competent or they do not remain competent in performing them. 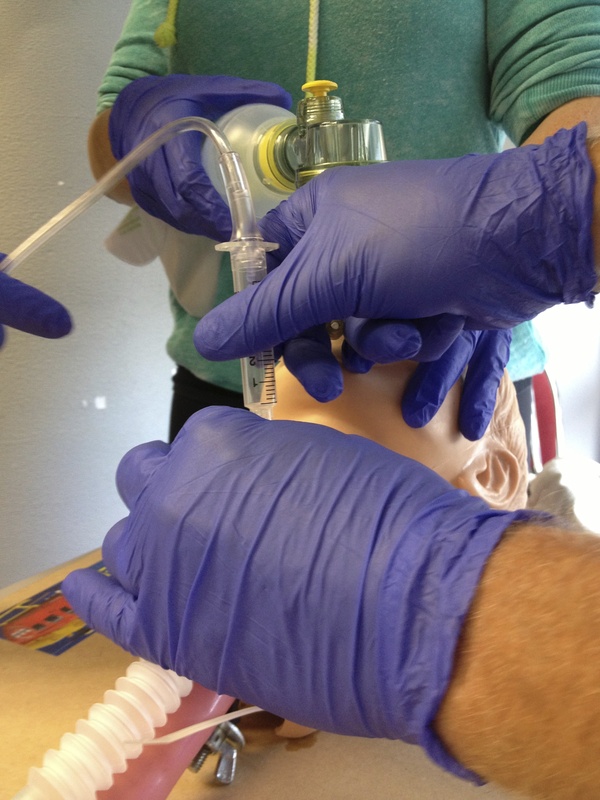 More optimistically, some clinicians will maintain their skills through simulation. However, I would bet that a survey of most staff emergency physicians would reveal virtually no hands on practice of many of these life-saving procedures. One of the most talked about and important of these procedures is the surgical airway (or cricothyroidotomy). This is only performed when a patient who requires emergency airway management but they cannot be intubated or ventilated. For most of us, we’ll go through our careers never performing one. But every time we intubate a patient, there’s a risk that this scenario could develop and we’ll have to act accordingly. 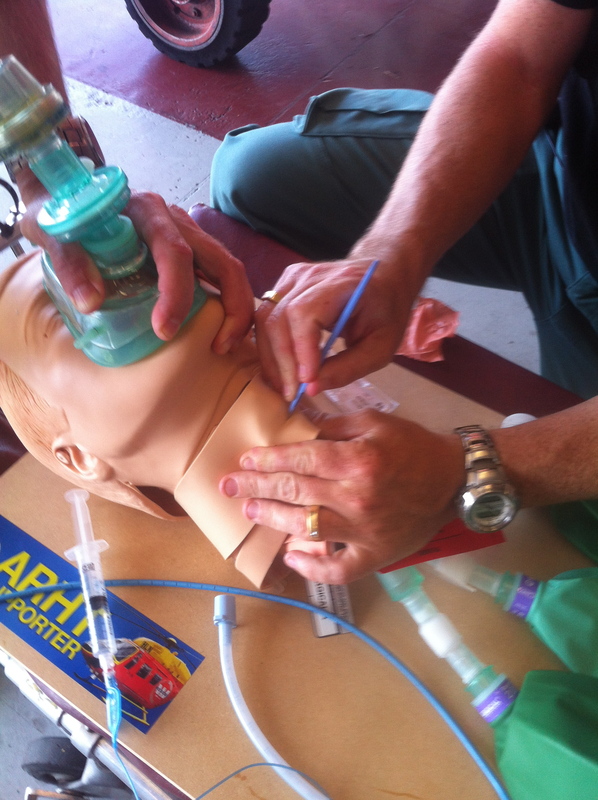 At ARHT last week, I ran an inter-professional session for the paramedics, doctors and crewman on surgical airway performance (or cricothyroidotomy). The goal was to integrate our new cricothyroidotomy task trainers into the educational curriculum and combine them with some group discussion and simulation. For those looking to do replicate the event or simply looking for ideas, I will outline our session. In addition to the introduction of our new task-trainers we also used this opportunity to review our performance of surgical airway. From an educator’s perspective, the most important step for success of this session is preparation. Those who know me, know that I’m not a detail oriented person but planning for everything from big picture stuff to the smallest detail can make a huge difference. 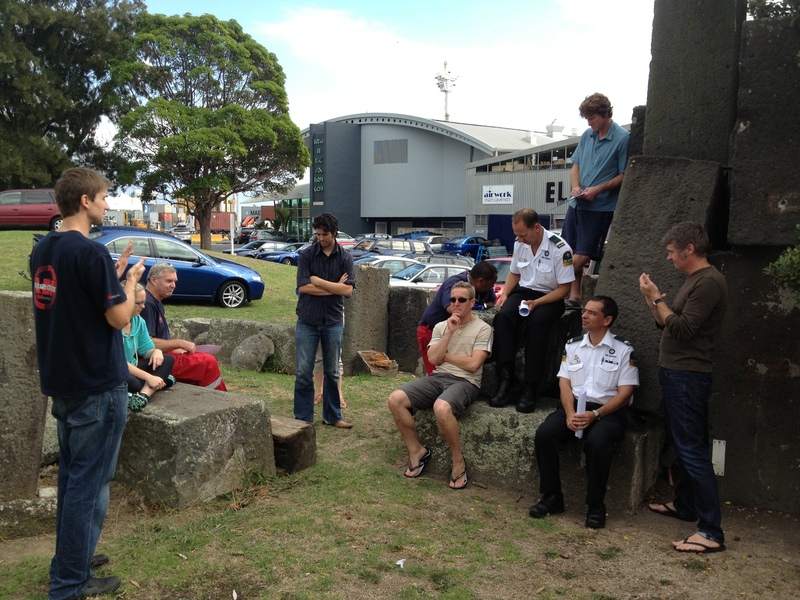 In an effort to encourage the sharing of information (FOAMed) I’ll describe our itinerary. The MOST important aspect was to outline the ground rules and expectations. In our case, we were not using this session as an evaluation but instead as an opportunity to practice and engage our entire team. If you are evaluating learners, let them know! This usablity testing allowed participants to directly observe their decisions for kit composition in practice! This entire process included usability testing for participants – allowing them to use different techniques & equipment they may otherwise not try. This also provides an additional opportunity for inter-professional education that is extremely important for such a high risk, rarely performed procedure. Proper planning and training for all team members involved will only make the process better. 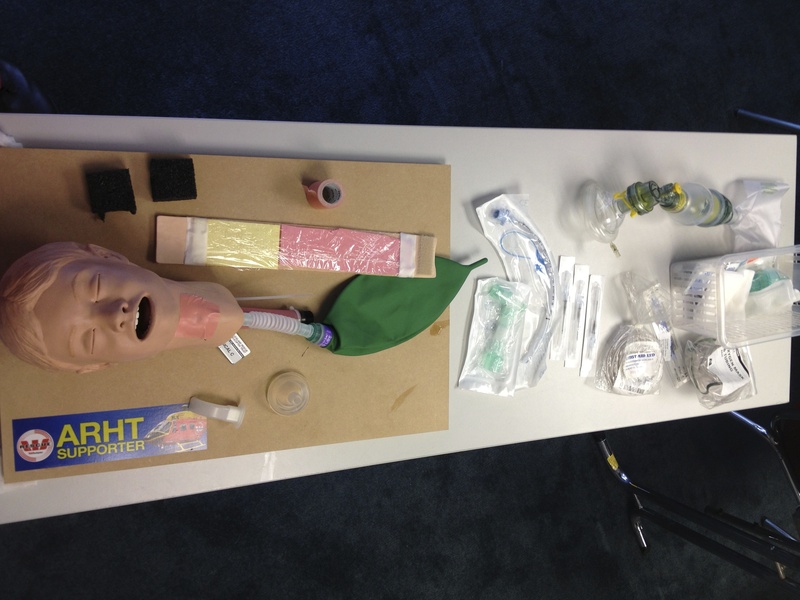 This entry was posted in Education, Equipment, Simulation, Trauma, Uncategorized and tagged cricothyroidotomy, education, HEMS, inter-professional education, Simulation, task trainer by petro82. Bookmark the permalink. 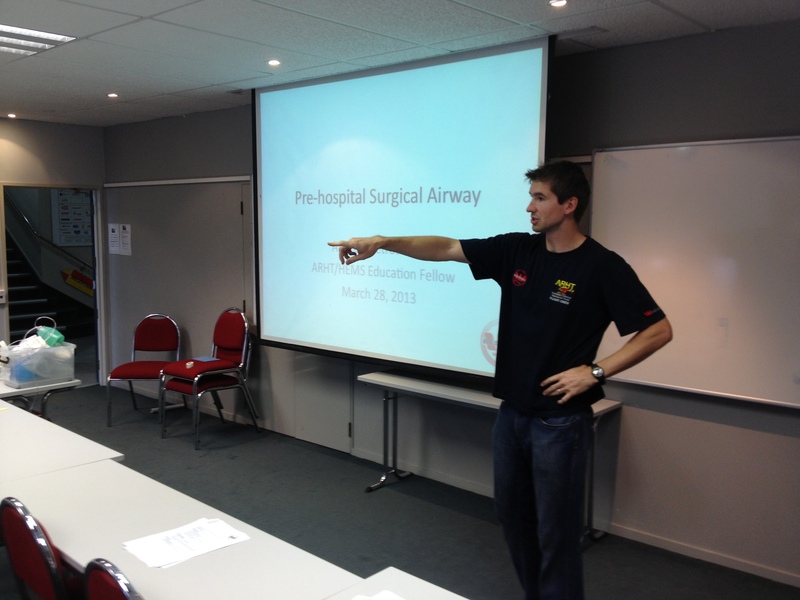 Most recent Auckland Rescue helicopter training session on surgical airway.